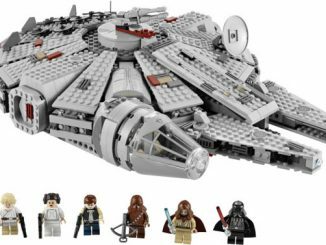 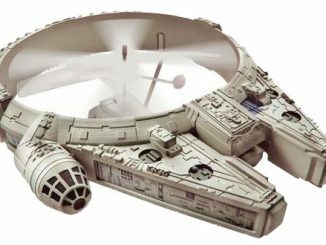 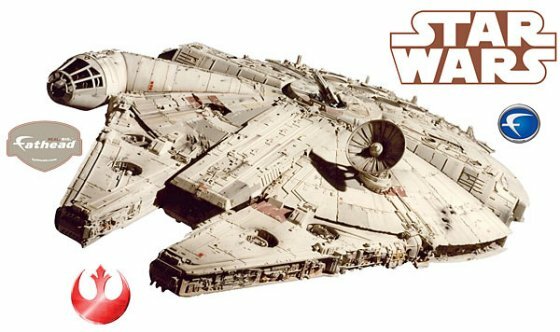 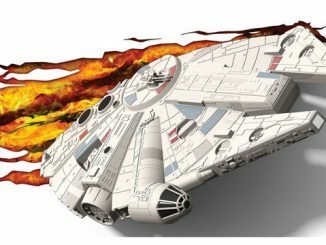 The Millenium Falcon is one of the coolest ships in the Star Wars galaxy. 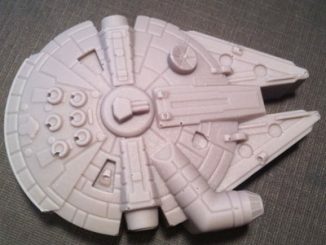 I think it’s about time we had this ship on our wall so we can pretend that the ship is parked in our room. 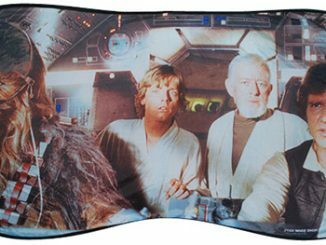 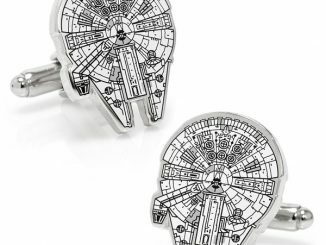 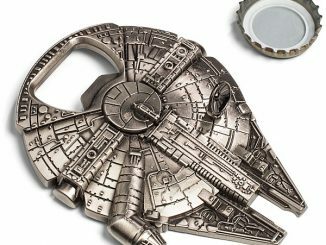 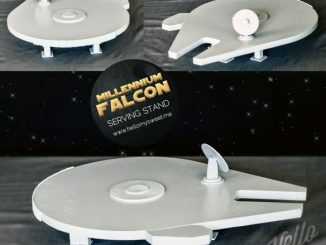 The Millennium Falcon Wall Cling will let you do just that. 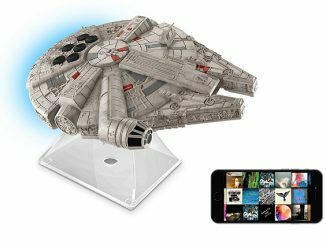 It is a vinyl wall decal of the Millennium Falcon that measures over six feet long and four feet high, so this isn’t just some tiny sticker. 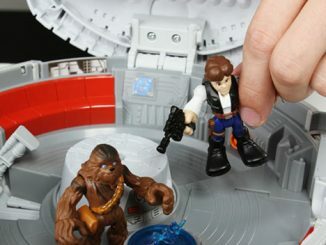 It goes on easy with low-tack adhesive so it won’t make a mess. 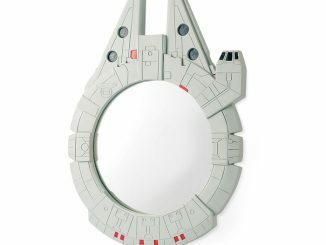 If you have the $99.99 you can get it from Thinkgeek.